The one about computer games | What's a daddy for? I’ve always been neutral about the virtues and drawbacks of computer games. I’ve never been particularly interested in them but neither do I believe they are responsible for some creeping immorality among younger generations. Of course computer games were around when I was a kid but it was all a bit different then. 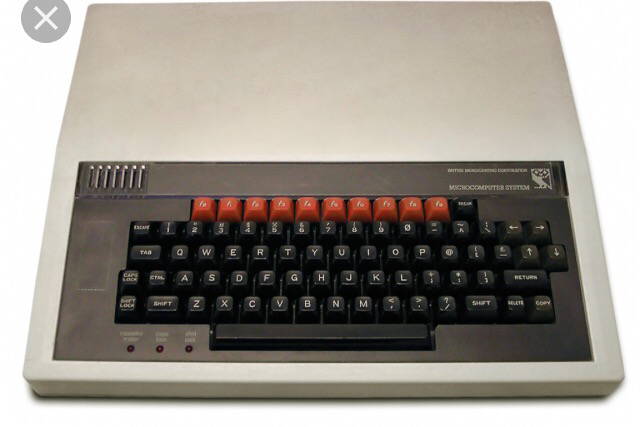 I remember my older brother had a clunky BBC Micro computer which was about the size of our bath. The games were on cassettes and used to take about 45 minutes to load (imagine telling this to a kid now). We would all sit huddled around the flickering screen waiting for the end of the interminable loading process only for a message to eventually flash onto the blank screen, ‘Loading failed’. When the games did work they were basic and involved the frenzied bashing of keys with your fingers until they were red and sore. I remember the white arrows on the black keyboard wore off through repeated thumping. But even then I had little patience for it. While my brothers seemed to be able to sit in the same place playing the same game until there was a circle of dust around them, I always thought there were more useful things to do. While they were playing Match Day or Tracksuit Manager I was often off playing in the mud and eating worms. And now the great revolution of generations brings me to the point where my son is starting to show an interest in computer games and I don’t quite know what to make of it. I understand the value of them in terms of education and motor skills but there are parts of it which make me uncomfortable. The effect on personality is remarkable. My sweet little boy who loves his daddy and cuddles is replaced by a growling, seething ball of frustration and rage. At one point I actually witnessed him punching the screen of my iPad when he was displeased. His cherubic lark-like voice seems to change also. Replaced by rasping, husky streams of invective closer to the sound of the monster from The Exorcist film. Do not dare to interrupt. Trying to tell him to calm down is futile and counter-productive. I spent several minutes this morning trying to have a conversation with him about how it was just a game and he didn’t need to get angry. Within moments he was roaring again and when I gently challenged him he exploded. The games themselves seem inoffensive enough and usually involve an animal of some sort trying to avoid oncoming objects. But when the character inevitably ends up squashed against the screen it often leads to tears and a seeming feeling of genuine anguish. I’m not going to stop my son playing the games, that would be pointless and cruel. I just want to make sure that he doesn’t spend too much time on them at the expense of experiencing many of the more wonderful things which I want to introduce him to. There’s a certain temptation in plonking him in front of the tablet for hours while I catch up on some Netflix binge-watching but I’d rather mix it up a bit and do things together. I think that’s better for him. It’s definitely better for me.